Excel / CSV to Oracle converter is a tool to Convert, Migrate data from Excel / CSV Text Files to Oracle Database or from Oracle to CSV / Delimited Text Files or Fixed width files. 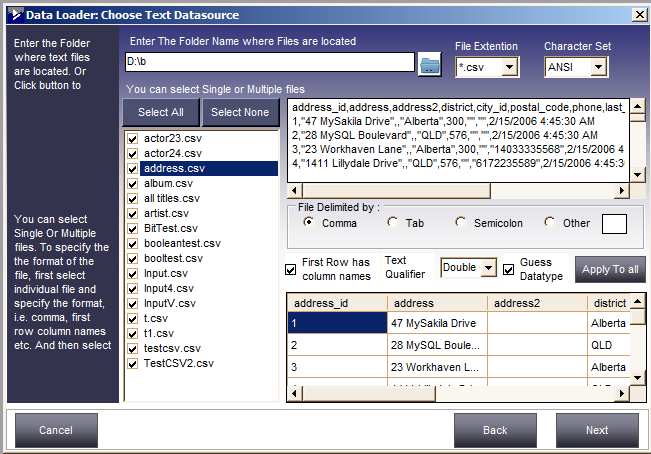 You can convert multiple files in one go into Oracle tables or convert multiple Oracle tables to CSV files. It will create Tables Schemas and loads the data or it can also the data into existing tables with full Source to Target Column mappings. Excel / CSV files to Oracle Converter comes with a in built scheduler to run transfer jobs at specified intervals. No need to define the conversion jobs again and again, just create a session define the schedule date and time and Excel / CSV to Oracle Converter will automatically executes your session in the background. You can later on check the log file for information. You can also use Windows Task Scheduler to run the conversion jobs automatically since it provides a command line interface also. All the sessions are stored in a repository. 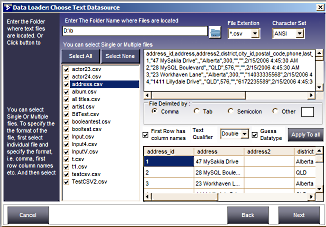 CSV to Oracle Converter provides a user friendly interface to manage repository. Such as taking backup and/or restore repository from a previous backup. You can also create a new blank repository in case you need it. Doesn't need Oracle Client Software or Libraries. 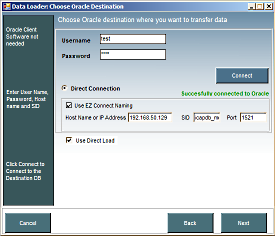 Connects directly to Oracle databases running on local machine or remote server. You need to just provide the host address and Oracle SID name to connect to the Oracle database. 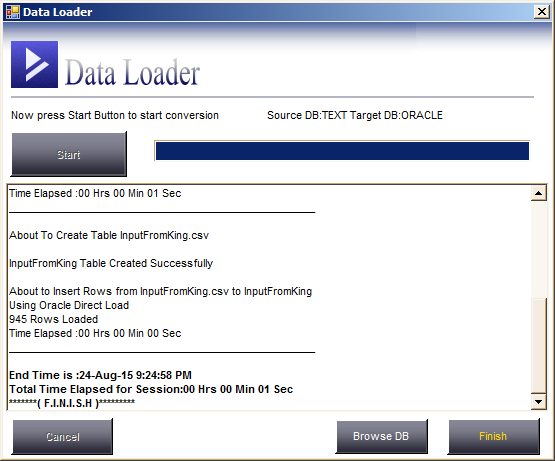 Supports the Native Oracle Bulk loading option to load the data at blazing speeds.